Using a novel analytical method they have developed, MIT researchers analyzed raw brain activity data (B). 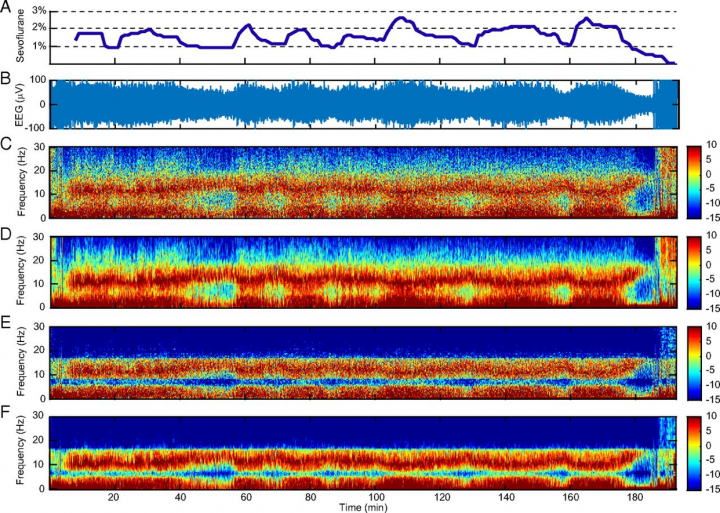 The spectrogram shows decreased noise and increased frequency resolution, or contrast (E and F) compared to standard spectral analysis methods (C and D). Image courtesy of Seong-Eun Kim et al.